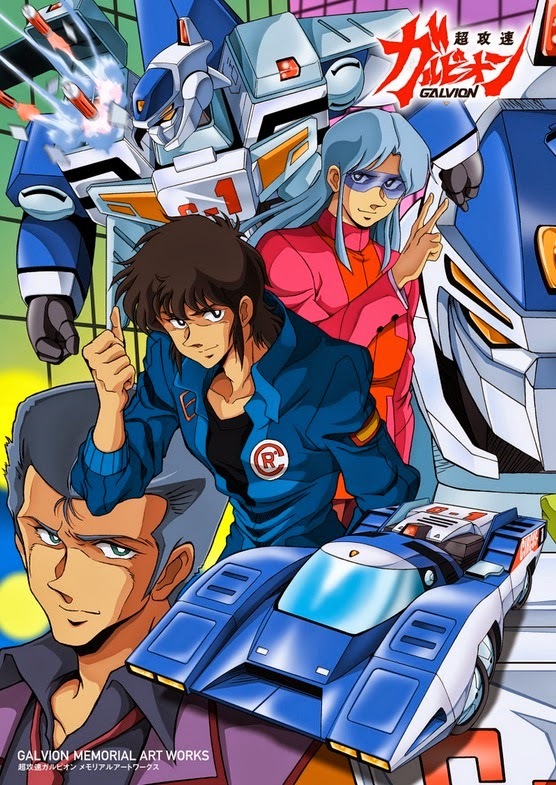 Chō Kōsoku Galvion (aka Super High-Speed Galvion) is a 22 episode mecha anime that aired through February 3 to April 29, 1984. There was the total of all 26 episodes, but only 22 of them aired on Japanese TV. The 23rd episode was partially completed but never aired. In the 23rd century, billionaire Midoriyama Rei creates a secret organization called Circus to combat a hidden group called Shadow that is taking over the world. When she can't find qualified pilots for Circus' main mecha, the Galvion, she cuts a deal with two convicts, Mu and Maya, to lead the fight against Shadow. 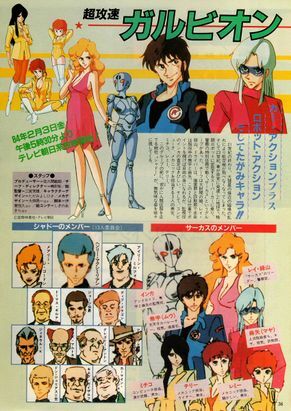 Chō Kōsoku Galvion features mecha designs (of Gunbuster fame). Footage of the anime is very scarce. Only one episode has reached online, available to watch through Rapid Video, or the anime streaming site, KissAnime. The anime OP can be also viewed online through Otaku Social Network. The original Vinyl record containing the OP and ED was held on eBay until it was essentially liquidized in November of 2017. 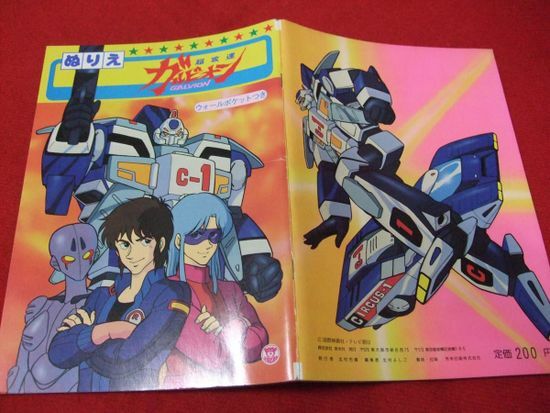 In 2013, Super High-Speed Galvion has finally received a DVD release, but only in Japan. The IMDb page on Chō Kōsoku Galvion. The Myanimelist page on Chō Kōsoku Galvion. The (now dead) Otaku Social Network, where the anime OP is shown.